Swiss-French architect, designer, city planner, and painter, Le Corbusier was one of the most influential architects of the 20th century. He was one of the pioneers of what is now called Modern architecture. Charles-Edouard Jeanneret-Gris was born in Switzerland on October 6, 1887. At age 13, he left primary school to attend Arts Décoratifs at La Chaux-de-Fonds. After 1907, he took trips through central Europe and the Mediterranean. 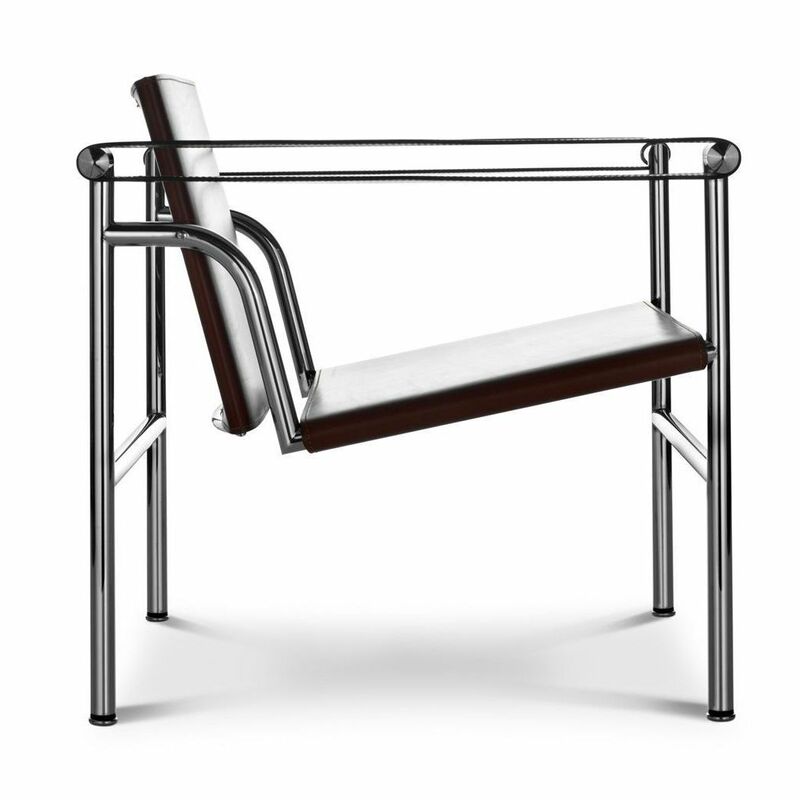 His travels included apprenticeships with Auguste Perret and later with Peter Behrens. In 1917, he moved to Paris and assumed the pseudonym Le Corbusier. In his architecture, he chiefly built with steel and reinforced concrete and worked with elemental geometric forms. Le Corbusier’s painting emphasized clear forms and structures, which corresponded to his architecture. 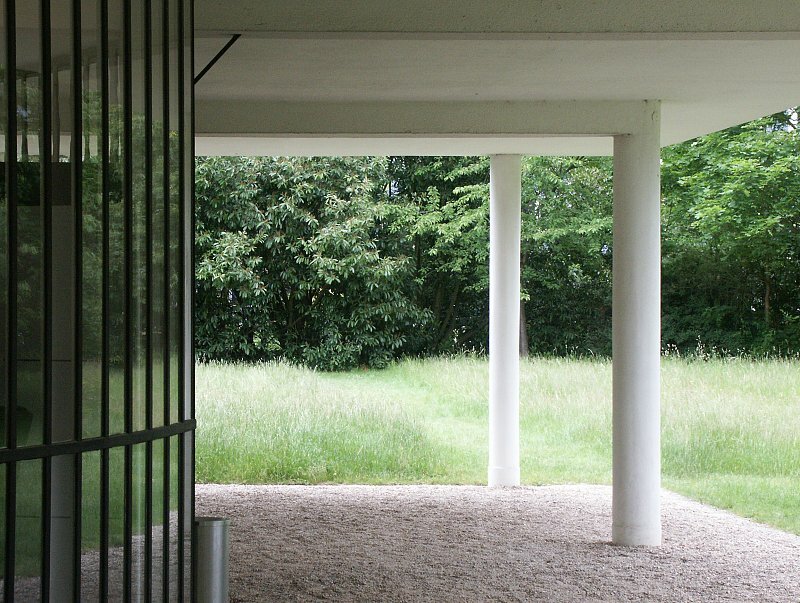 Villa Savoye in Poissy is arguably Le Corbusier’s most renowned work, and a prime example of Modernist architecture. The sleek geometry of the white living space, with its elongated ribbon windows, is supported by a series of narrow columns around a curved glazed entrance – and topped with a solarium. Completed in 1931, this building was revolutionary: the use of reinforced concrete required for fewer load-bearing internal walls, allowing for an open-plan design. 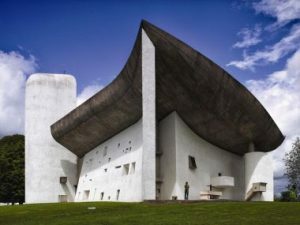 Another iconic structure is the Notre Dame du Haut in Romchamp, one of the earliest Modernist churches. Then, there are Villa Jeanneret & Villa La Roche (1923-25, Paris, France), which are two semi-detached houses and now house the Le Corbusier Foundation; the United Nations Headquarters (New York, United States), which are ; the colorful structure of the Palace of Justice (Chandigarh, India), a prime example of Le Corbusier’s work in India; the Palace of Assembly (Chandigarh, India), the elegant counterpart to the nearby Palace of Justice; the Heidi Weber Museum (Switzerland), originally commissioned as an exhibition centre; the Mill Owners’ Association Building (Ahmedabad, India); the Sainte Marie de la Tourette (Lyon, France), a Dominican priory, considered one of the most important works of Modernist architecture in the world; the Saint-Pierre (Firminy, France), the last major work of Le Corbusier, completed posthumously in 2006 by his student José Oubrerie. He produced the LC-1 (Sling Chair, originally titled Basculant), LC-2 (Great comfort sofa, small model), LC-3 (Great comfort sofa, large model), and LC-4 (Long chair) and many others. These chairs were included in Le Corbusier’s Salon d’Automne installation (1929). 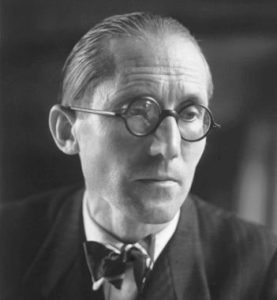 Le Corbusier realized several paintings. 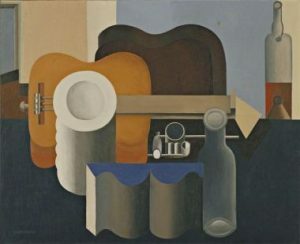 One of the most remarkable is Still Life (1920), a typical Purist painting, in which he purified the colour scheme to include only the neutrals—gray, black, and white—and monochromes of green. He applied the paint smoothly to enhance the sense of impersonal objectivity. Le Corbusier published a book on urbanism called The Radiant City (1933), an unrealized urban masterplan, first presented in 1924. It was designed to contain effective means of transportation, as well as an abundance of green space and sunlight. 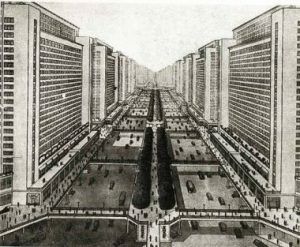 Though radical, strict and nearly totalitarian in its order, symmetry and standardization, Le Corbusier’s proposed principles had an extensive influence on modern urban planning. 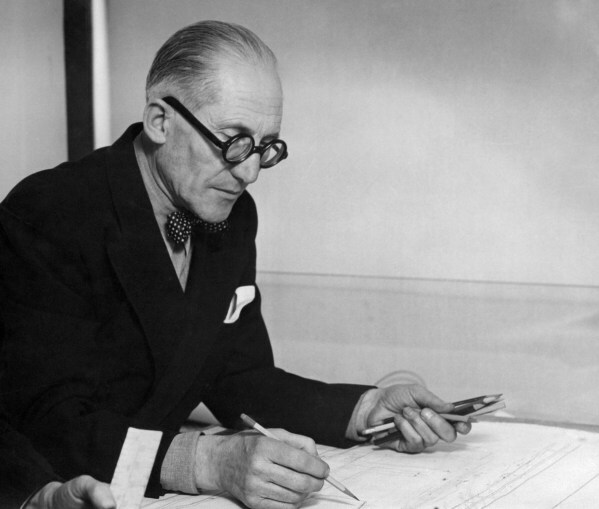 What were Le Corbusier’s key ideas? Lift The Building Over Pilotis. The ground floor of the house, like the street, belongs to the automobile. Therefore housing is raised on pilotis to allow the vehicle’s movement or the green continuity. Free Designing Of The Ground Plan. A building floor plan should be free from structural condition, so partitions can be organized in any way. The Free Façade. The structure separates from the façade, relieving it of its structural function. The Horizontal Window. The façade can be cut along its entire length to allow room to be lit equally. The Roof Garden. A building should give back the space it takes up on the ground by replacing it with a garden in the sky. The architectural promenade, another Le Corbusier’s key idea. Its experience is in the movement through the spaces. 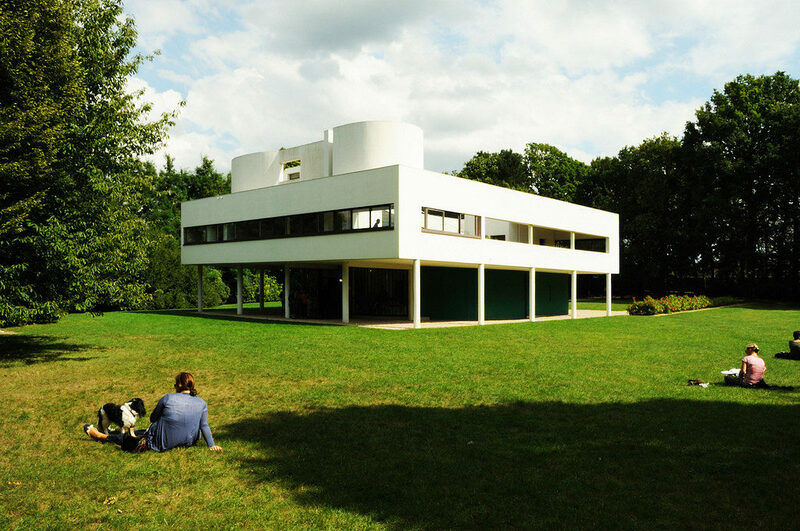 Villa Savoye is designed based on this. 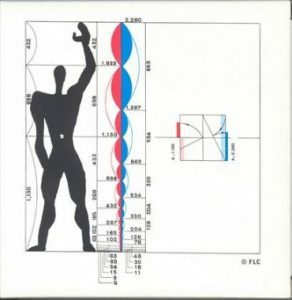 The Modulor, a universal system of proportions devised to reconcile maths, the human form, architecture and beauty into a single system. The Open Hand, a sign of peace and of reconciliation.